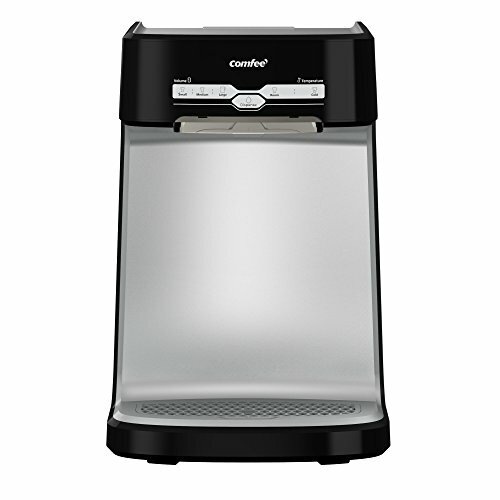 Enjoy unparalleled value, modern convenience and simple design of your countertop water cooler & filtration system. 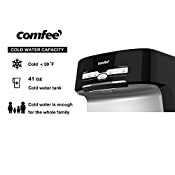 All of the Comfee products come with Ul and NSF Certifications Certificate. Filtration systems: PP & Carbon Composite filter. Removed impuritiesSediment, rust, bacteria, odor and so on. Temperature selections: 2-settings, cool & room. Volume selections: Pre-set small 4 oz, medium 8 oz, large 24 oz. The volume selections can be reset easily by yourself. Great after-sales service: Our goal is to provide the highest quality service and best-in-class products, if you have any questions about our products, reach out to our qualified staff who are willing to help you in any way they can. 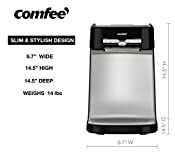 SLIM & STYLISH: Designed to fit on your kitchen countertop, this compact water cooler is sized just right, easy to install, easy to use and good for look. 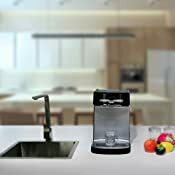 ULTIMATE WATER PURIFICATION： offering 2-types of water purification: PP and Carbon Filter, improves tastes and elimates bad odors from the water, make the water more fresh. <50 °F FRESH COOL WATER: 2-Temperature Settings, cool & room, enjoy fresh cool water in every morning, every noon and evening. 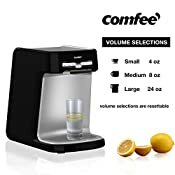 UL CERIFIED: Comfee countertop water filtration system is UL certified guaranteeing you safe and great tasting water. 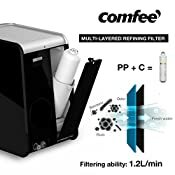 BOTTLELESS & FILTER REMINDER: bottleless water cooler with 3000L filter reduce the cost of constant purchases of water and smart filter reminder will remind you to change the filter when it's time to chang.